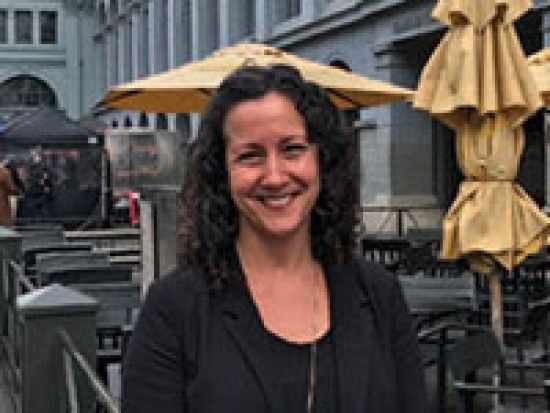 Jill Clements, Ph.D., has been named as the recipient of the first Michel de Montaigne Endowed Prize in the History of Ideas. Established by Dr. Catherine Danielou, Senior Associate Dean in the College of Arts and Sciences, the prize honors the 16th-century French philosopher who is credited with developing the essay as a literary form. Candidates for the award had to hold a full-time appointment at UAB and provide a scholarly essay in the history of ideas that made a unique contribution to the history of thought and culture. 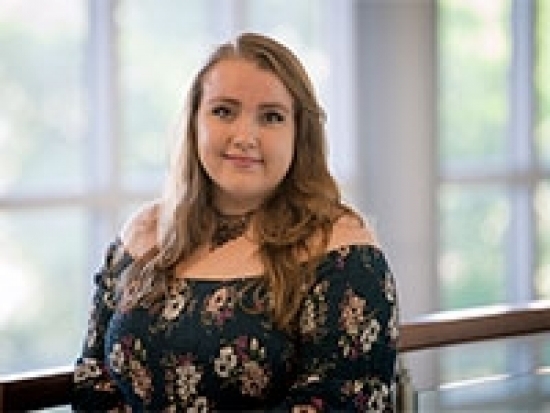 Clements was selected by a committee of senior faculty members in the College of Arts and Sciences for her essay, "Sudden Death in Early Medieval England and the Anglo-Saxon Fortunes of Men." Clements will receive a $1,000 award and will be honored at the College of Arts and Sciences Faculty Book Reception on March 5. If you haven't been to campus lately, I can't stress enough how different the environment is from what you may remember from your student days. As always, fall is a busy time here in the College of Arts and Sciences. With enrollments continuing to grow, it seems that students are everywhere—in the hallways, on the sidewalks, and crossing the Green and Mini Park. Across University Boulevard from our offices here in Heritage Hall, I've enjoyed seeing students taking advantage of the wonderful indoor and outdoor facilities at the Hill Student Center: enjoying concerts, working with clubs and organizations, and socializing at festivals and food events. If you haven't been to campus lately, I can't stress enough how different the environment is from what you may remember from your student days. 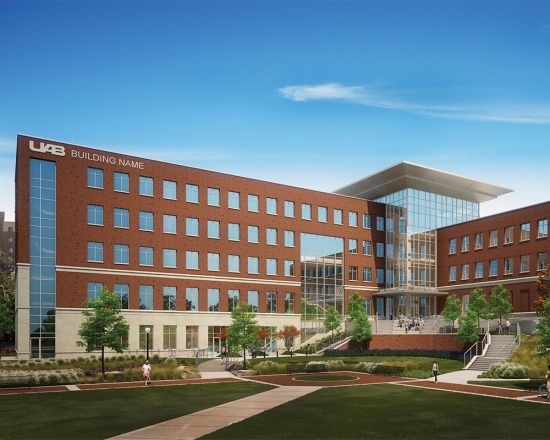 Our new Arts & Sciences academic building is an important addition to the increasingly sophisticated and attractive campus that UAB is creating. When our building opens next fall, it will be home to seven of our 19 academic departments, complete with offices, conference and meeting rooms, classrooms, and a 300-seat auditorium, all equipped with the latest technology and equipment to ensure the best possible research and instruction for our faculty and students. But we know the building will also be another one of the popular gathering spaces for our growing student body. There will be bright, well-furnished indoor spaces where they can relax, study, or spend time with friends. The outside terrace, with its view of the Green, Dining Commons, residence halls, and Recreation Center, will become one of the best spots on campus to see and be seen. And with its location on the corner of 10th Avenue South and 14th Street South, it will provide an important anchor to this side of campus, and a gateway to the buildings nearby. Help us build a legacy by supporting our new building project. Learn more about naming opportunities. We look forward to seeing you on campus this fall. 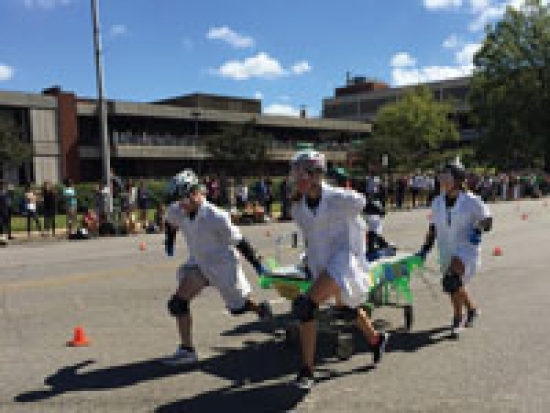 Catch up with some of the big events sponsored by the College of Arts and Sciences, from Spring Flings to an exhibit at AEIVA. Perhaps there's no better way to end a semester than by honoring both our students who receive valuable scholarships and the donors who so generously support them. Our Scholarship and Awards Luncheon is always a special event and is a chance for students and their donors to meet and learn more about each other. This year, in addition to three student speakers, we were also inspired by a performance by the Carlos Pino UAB Jazz Combo. We also enjoyed several fun alumni gatherings, including a party at Regions Field when the UAB Baseball team played the Birmingham Barons. 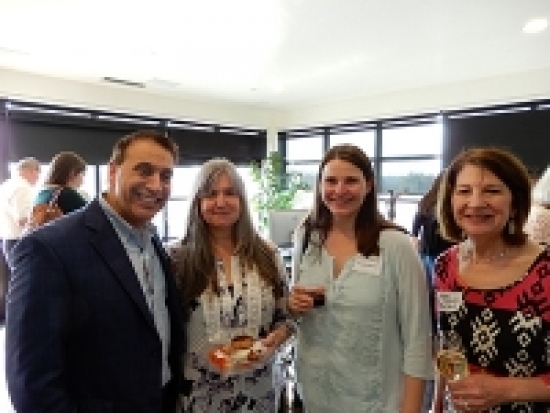 And alumnus Alexander Shunnarah graciously hosted us at his office overlooking Sloss Furnaces, where faculty and alumni enjoyed an evening together. We were honored to present the Ireland Distinguished Visiting Scholar Award to Andrew Solomon, a prolific and award-winning writer and activist. Solomon's work touches on a wide range of interests, from psychology and mental health to politics and the arts, and his lecture focused on parent-child relationships and LGBTQ-related health and family issues, which were the subjects of his 2012 book, ”Far from the Tree.” AEIVA also hosted a number of successful exhibitions, including Carlos Rolon's ”Boxed,” and ”Focus III: I'll See it When I Believe It,” from the collection of Jack and Rebecca Drake. We are proud to announce that eight College of Arts and Sciences alumni were honored as members of the 2018 class of the UAB Excellence in Business Top 25. We are proud to announce that eight College of Arts and Sciences alumni were honored as members of the 2018 class of the UAB Excellence in Business Top 25 on Friday, June 21, at the UAB National Alumni Society House. These deserving graduates were among 25 UAB alumni recognized for their success at a company they founded, owned, or managed. 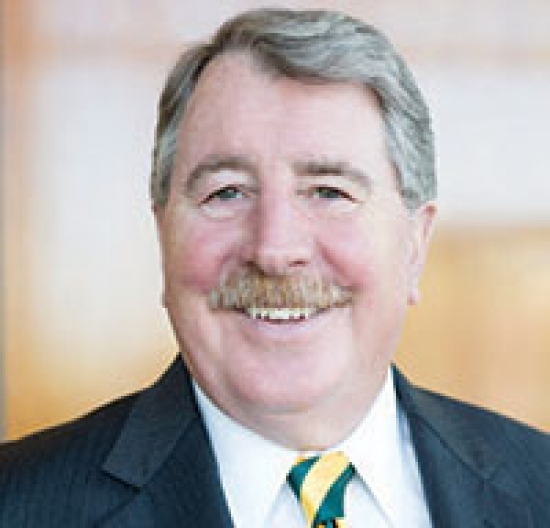 The UAB National Alumni Society, with the help of Birmingham-based accounting firm Warren Averett, has ranked and verified the nominated companies based on the annual growth rate for the three most recent reporting periods. Owned 50 percent or more of the company during the most recent eligible period. Served on the most senior/division leadership team (chairman, CEO, president, partner, vice president, broker, etc.) during the eligible period. The company has been in operation for a minimum of three years prior to December 31, 2017. The company has verifiable revenues of at least $150,000 for its most recent 12-month reporting period. Congratulations to our deserving graduates! Aldrich is the President and Co-Founder of Airship, a software development firm in Birmingham. Airship deploys a wide array of technologies to service clients in 11 states and across a range of industries, including healthcare, construction, retail, insurance, real estate, non-profit, and fitness. Aldrich graduated with a bachelor's in computer and information sciences in 2008. Dr. Bishop is the owner of Metroplex Endodontics & Microsurgery in Dallas, Texas, where he is in practice with his wife. He graduated in 1991 with an M.S. in biology and in 1998 with a Ph.D. in biology, before receiving his D.M.D. from the Baylor College of Dentistry. Burdett is the CEO of Fast Slow Motion, a Birmingham-based firm that provides support for companies and organizations using Salesforce, a cloud computing firm specializing in customer relationship management. Burdett graduated with a bachelor's in computer and information sciences in 2000. Irwin is the Human Resources Director for Kelley & Mullis Wealth Management, based in Vestavia Hills, Alabama. The independent investment firm was founded more than 25 years ago; as HR director, Irwin directs human resources as well as support services and public relations/marketing. She graduated in 1994 with a bachelor's degree in psychology. Franklin Primary Health Center, Inc. is a Mobile-based community health clinic founded in 1975 with a goal to provide quality healthcare to underserved communities. Dr. Lee is the Chief Dental Director at the clinic and graduated with a B.A. in natural science in 1989 and a D.M.D. from the UAB School of Dentistry in 1992. Maluff and his brother David bought the original Full Moon Bar-B-Que restaurant in 1997 and have been growing the business steadily ever since. Full Moon now has 14 locations across the state with ideas on expansion to other states in the future. Maluff graduated in 1996 with a B.S. in psychology. Prime, who graduated from the College of Arts and Sciences in 2006 with a B.S. in biology and in 2011 with an M.B.A. from the Collat School of Business, is the director of adult fitness at Godspeed Elite Sports Academy in Hoover. Rhodes, a 2008 graduate with a B.A. in history, is the owner of Godspeed and the director of athletic performance. In addition to our eight honorees, two alumni won top honors in Fastest Growing Companies with annual revenues under $10 Million: Adam Aldrich, CEO of Airship, 75 percent growth; and John Burdett, CEO of Fast Slow Motion, 71 percent growth. And in the Fastest Growing Companies with annual revenues over $10 million, the top winner was alumnus Joe Maluff of Full Moon Bar-B-Que with 35 percent growth over the previous year. The number of College of Arts and Sciences students who win major national and international scholarships and fellowships grows every year. What does it take to win one of these major prizes? The number of College of Arts and Sciences students who win major national and international scholarships and fellowships grows every year. What does it take to win one of these major prizes? And what does the achievement mean for our students as they pursue their goals? Sarah Faulkner, a 2017 graduate with bachelor’s degrees in art with a concentration in art history and sociology. But this portion of the application wasn’t the only part that challenged Eastep. Outside of the personal statement and description of future goals, the application also requires students to write a research proposal detailing the work they’ve already accomplished as well as discussing what comes next. However, unlike most scientific journals, this proposal has to be written in the first person. For Eastep, this portion meant detailing the research he’d pursued under Dr. Jamil Saad, assistant professor in the Department of Microbiology, who has a secondary appointment in the Department of Chemistry. Here, he’d studied the role of a particular protein in certain portions of retrovirus replication. Before last summer, his work had focused on the protein’s role in replicating the avian sarcoma virus. Eastep says the support he received from faculty was critical to his completion of the application, and his success in winning the Goldwater. “Without Dr. Saad and the experiences I’ve had doing research in his lab, winning the Goldwater scholarship wouldn’t have been possible,” he says. “It certainly gives me a lot of confidence moving forward. The science-focused Goldwater Scholarship is only one of the many prestigious scholarships and fellowships that College of Arts and Sciences students can apply for. These programs range widely from scholarships for students in specific disciples to fellowships, which provide short-term learning opportunities. These experiences also vary: some support research projects at specific universities, while others are aimed at developing independent research projects on a myriad of subjects. Sources of funding for these programs are just as diverse as the offerings themselves. Some, like the Fulbright U.S. Student Program, are sponsored by federal government agencies to bolster international relationships. Other governmental agencies fund scholarships aimed at ensuring future public servants speak languages critical to international diplomacy. These few programs are only the tip of the iceberg. Yet other programs are financed by private trusts to encourage traditionally marginalized groups to participate in specific fields, and others include on-campus research programs sponsored by multiple organizations from various backgrounds. In addition to strengthening recipients’ resumes, many of these programs also connect participants with their alumni networks, adding an additional level of value with professional connections. Depending on a student’s major and interests, one or several of these programs may be a fit. But one thing is consistent across all of these offerings: the application process is rigorous. Writing essays, securing recommendation letters, and, if necessary, preparing for interviews is time-consuming, and requires long-term hard work and focus. Although the payoff is great, there is a significant time commitment involved in getting there. Other students benefit from the research opportunities afforded by fellowships rather than scholarships. One such program is the Amgen Scholars U.S. Program, which provides summer research opportunities at one of 10 universities around the country. Funded by the Amgen Foundation, this program connects participants from all over the world while also allowing them to undertake a rigorous research program under different faculty. Senior neuroscience student Jasmin Revanna attended the 2017 session at Caltech, and used her time in the fellowship to optimize a genetic editing tool to activate and deactivate targeted genes in nematodes. To continue her 2017 research, she applied to the 2018 WAVE Fellows Program at Caltech. This fellowship is designed to open the school’s research resources to demographics that are traditionally underrepresented in the sciences, and Revanna applied in hopes of returning to the same lab to test the system she’d built the summer before. Though her research focus ended up being different—there, she built more than 100 tools for the public to use to study the role of specific neurotransmitters in nematodes—she feels that both experiences were extremely valuable. “These fellowships helped me discover what I want to do after graduation, which is go to graduate school,” she says. Revanna continues that these two fellowships have given her the confidence to apply to high caliber graduate programs to further her studies. But she’s not limiting herself to only one possibility: Revanna is also currently applying for a Fulbright fellowship to do research abroad. The Fulbright fellowship is arguably one of the most recognizable fellowship programs in the world. They award approximately 1,900 grants annually to students and recent graduates who want to do projects to study culture or science or to teach abroad. In 2018, six UAB students received the honor. Sarah Faulkner, who graduated in 2017 with bachelor’s degrees in art with a concentration in art history and sociology, applied to the program to study the textile art of the Lepcha, a cultural group indigenous to Sikkim, India. Muna Al-Safarjalani graduated in 2017 with a degree in chemistry. She is currently pursuing a doctoral degree in pharmaceutical sciences at the University of California San Francisco School of Pharmacy. After graduating with a degree in communication studies in 2015, Rebecca Egeland joined the Southern Company as a research communication specialist on the Research and Development Team. She also has a budding music career. In her free time, she’s a singer-songwriter, and can often be found at an open mic or playing a local venue with a ukulele in hand. Brendan Rice graduated with a degree in international studies in 2012 and he is currently pursuing a master’s degree in sustainable international agriculture at the University of Göttingen (Germany) as a Fulbright Scholar. Prior to this, Rice worked for the United Nations Food and Agricultural Organization in Sierra Leone and Italy. He also worked in Uganda with smallholder farmers to promote food security. Massoud graduated in 2017 with a degree in international studies. He currently works with CAIR Alabama (Council on American-Islamic Relations) as a government affairs coordinator, where he is charged with educating and engaging voters for increased civic participation. Faulkner says she worked on her application every day for about four months. Though the process was rigorous, it was made easier because she had a clear idea of what she wanted to do. “Even so, I must have gone through at least three dozen drafts of my essays, which included a personal statement and a rather detailed outline of my research objectives and methods,” she says. Another federally funded program open to about 600 students each year is the Critical Language Scholarship Program. Students who receive this scholarship undergo an eight-week language immersion in a language important to national security and economic prosperity. At the same time, students are also learning about and living in the culture they’ve studied to enhance their understanding. For UAB Honors College Global Community Leadership program student Ayla McCay, the scholarship enabled her to study Korean as part of her goal to work in international human rights. All of the students are shepherded through the application and selection process by Ashley Floyd Kuntz, Ph.D., fellowships director and assistant professor in the UAB Honors College. Dr. Kuntz says that all of the students applying for fellowships and scholarships, regardless of whether they are members of the Honors College or not, have a tremendous support system around them—one that goes all the way to the top. "We are fortunate to have the strong support of President Watts," she says. "Dr. Watts makes time each fall to meet with nominees and learn about the projects they’re proposing. He advises students to be themselves, even when facing intimidating interview panels, and he encourages students to believe in their potential to compete at the highest levels. Few university presidents take such a sincere interest in getting to know students and celebrating their successes." During her time in the program, she has learned a lot about identifying and solving organizational, systemic, and creative problems in many industries. All of this, she says, is in preparation to get her Ph.D., and to one day open a youth-focused community center. With the latest Justice League movie coming to theaters this Christmas, we ask: what does Aquaman represent? And could he really talk to sea creatures? With the latest Justice League movie coming to theaters this Christmas, we ask: what does Aquaman represent? And could he really talk to sea creatures? Faculty in the College of Arts & Sciences weigh in. Half-human, half-Atlantean, Aquaman has never been as famous or beloved as his fellow DC Justice Leaguers Superman, Batman, and Wonder Woman. His powers never seemed as impressive as theirs, and for a few decades, he was hard to take seriously, thanks to his presence on 1970s television shows, ”Superfriends,” and ”Man from Atlantis,” where Patrick Duffy's performance inspired little more than a new, funny way for kids to swim at the neighborhood pool. But a new, big budget movie will be in theaters this Christmas, capitalizing on the Marvel/DC superhero zeitgeist and aspiring to elevate Aquaman to the realm of the truly heroic. While the Comic-Con crowd is carefully watching every trailer—and posting their criticisms and enthusiasms online—faculty members in the College are examining ideas and theories that connect to Aquaman's story in fascinating ways. Why do we remain so interested in these superhero stories? What is it that ensures their popularity 70 years after they first appeared in WWII-era comic books? What does science tell us about underwater communication and navigation? Can we ever learn to ”talk” to whales and dolphins? Conversely, smaller marine mammals hear high-frequency sounds, which they also use to echolocate. ”They emit sounds and then listen to the bounce-back,” Lancaster says. ”That's really good for directionality, but those higher-frequency waves can only travel over short distances.” Big whales, on the other hand, cannot echolocate at all. 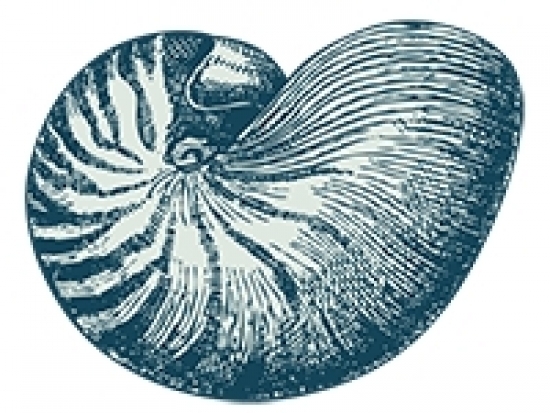 ”The whale ear is basically unchanged since these mammals returned to the sea 40 million years ago,” he continues, pointing out that different marine mammals have different ear structures. If you look at high-resolution scans of whales, the ear bones are very easy to see because they're so dense. But the soft tissues of muscle, fat, and cartilage are much harder to see on the scans. Dolphins' inner ears are suspended in these fatty, fleshy tissues and are not connected to the skull by other bones. That isolation cuts down on sound vibration in their heads, which improves their sense of directionality. Whereas large whales' inner ears are connected bone-to-bone, useful for an animal using low frequency sounds and no echolocation. Which brings us back to Aquaman. Meanwhile, Dr. Matt King, assistant professor in the Department of Philosophy, teaches smaller classes of students who sign up for his ”Philosophy and Superheroes” course. It's a class he invented at UAB and will be teaching for the third time this fall. Matt King, assistant professor in the Department of Philosophy.Unlike Lancaster's course, a prerequisite for all pre-health majors, King's is a special topics class and is open to anyone. (”It requires no pre-requisites either way, neither superheroes nor philosophy,” he says.) The course has clearly established pedagogical goals: to get students excited about philosophy, and to teach the fundamentals of the discipline. For example, King's students examine the role of state authority, public accountability, and the obligations we have as individuals to serve our own interests versus others' via the 2016 film, "Captain America: Civil War." Additionally, the Superman story allows students to consider the idea of how names and identity are connected—or aren't—a philosophy explored in depth by John Stuart Mill in the 19th century. Mill considered the two names the ancient Greeks had for the planet Venus: the god Phosphorus (the Morning Star), and the god Hesperus (the Evening Star). Can we use two names for the same thing? But "Aquaman" is just a movie, right? A bit of escapist fun that allows us to enter a fictional world that's radically different from our own—a story chock-full of bad guys, big climactic battles, and the charismatic, heroic figure (and his or her sidekick) that saves humanity at the end. It is that. It's why we'll pay too much for the tickets and the concessions and participate in the cultural moment. But maybe in the car on the way home, or in the days after you see the movie, think about our research areas, and how our faculty are using these contemporary myths to teach in innovative ways. It's the interdisciplinary strength of the College of Arts and Sciences, where the empirical science of whale ears lives right alongside the mind/body divide symbolized by The Hulk. How can we accept this tattooed, long-haired, Polynesian-version of the superhero as ”real” when there have been so many other versions before? Can Aquaman really communicate with marine life? And what does it say about us that we, for a few hours anyway, believe that he can? Worth pondering at your local multiplex this December. Our university enables faculty to make connections across various disciplines, schools, and centers, and being a part of the College of Arts and Sciences provides my colleagues and me with a broad platform to support this kind of effective interdisciplinary work. Our university enables faculty to make connections across various disciplines, schools, and centers, and being a part of the College of Arts and Sciences provides my colleagues and me with a broad platform to support this kind of effective interdisciplinary work. Even in the short time I've been at UAB, I have developed three interdisciplinary courses that have service learning goals and ongoing research endeavors. By working with willing faculty members from the Departments of History and Art and Art History, we developed a "Birmingham Neighborhood Studies" course that involves student examination of four specific Birmingham Neighborhoods from a historical perspective, a contemporary perspective, and an artistic perspective. In that course, students complete a project-based final portfolio. Their projects range from architectural histories of places to walking tours of women buried in Oak Hill cemetery. This year, in a joint effort between the Departments of Social Work and Criminal Justice, we have enhanced an existing "Community-Based Corrections" course—making it interdisciplinary and including both team-based learning and service learning elements. Students in the course participate in re-entry simulations in which they experience what it is like to be a person returning to the community after a period of incarceration. The U.S. Attorney’s office developed this curriculum and the Department of Social Work has taken a lead role in bringing the simulations to our campus. Last year, we received a Quality Enhancement Plan grant to continue the simulations and to conduct research around their effectiveness. Students also work with women incarcerated at Tutwiler Prison and Birmingham Work Release to produce holiday greeting videos for their families, as well as with Jefferson County Veterans Court to recruit veteran volunteers to support court efforts. Last year, I developed a study abroad course that examines women’s rights and health in Kenya. This year, the social work course will be team-taught with Dr. Tina Kempin-Reuter, director of the UAB Institute for Human Rights, and will involve international service learning in which students create health-based lesson plans and assemble reusable feminine hygiene supplies that they deliver in rural Kenya. Since last year’s successful trip with 12 students, we have written a grant to support the continuation of the women’s hygiene project and the addition of a micro-business sewing initiative. All of these efforts will be evaluated through community partners in Kenya. The common thread through all of these courses are that they all involve social work principles that advance human rights as well as social, economic, and environmental justice. And they are all led by female faculty and directors from across the College. As service learning is considered a high-impact learning tool, these courses are expected to strengthen student learning and engagement in multiple ways outside of the course content. And just as women are leading the efforts to craft these high-impact courses, women are benefitting from them as participants—as student and as community collaborators. 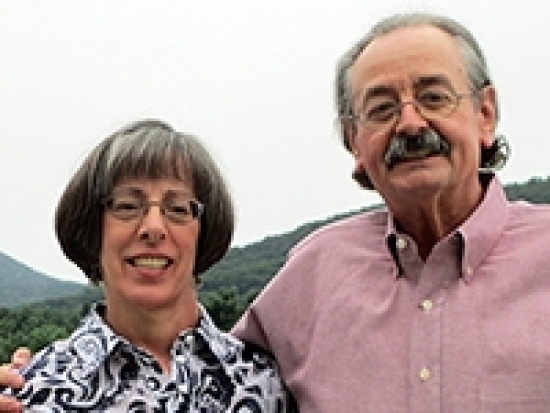 The Life-Long Learning Endowed Scholarship Honoring Ruth J. and Robert J. Colvin has been established in the departments of English and Foreign Languages and Literatures that will support deserving students and relieve them of their financial pressures. The Life-Long Learning Endowed Scholarship Honoring Ruth J. and Robert J. Colvin has been established in the departments of English and Foreign Languages and Literatures that will support deserving students and relieve them of their financial pressures. The scholarship is named in honor of Ruth J. and Robert J. Colvin to recognize their commitment to education and their impact on improving communication and understanding among people worldwide. 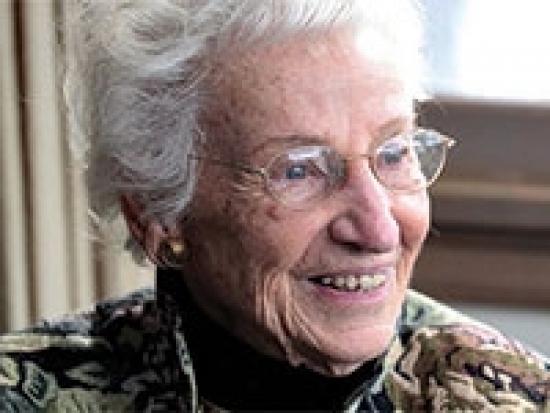 Ruth J. Colvin was born in Chicago in 1916 and earned her associate’s degree from Thornton Junior College in Harvey, Illinois, before obtaining her bachelor’s degree from Syracuse University. After reading census reports in 1961, Colvin learned about the serious illiteracy problem across the country, including in Syracuse. Catalyzed into action, Colvin began an effort to transform education and its impact on literacy for adults. With an innovative focus on community networks that empowered adult learners in new ways, Colvin founded and served as the first president and life board member of Literacy Volunteers of America, Inc. (LVA), an organization that trained and developed volunteers to teach basic adult literacy and English to speakers of other languages through one-on-one interactions or small groups. In 2002, LVA and Laubauch Literacy International merged to form what is formally known as ProLiteracy, a nonprofit organization that supports programs that help adults learn to read and write. Over the decades, Colvin, along with her husband Robert, visited and worked in more than 60 countries. She has received numerous honors and awards including the U.S.A. President’s Volunteer Action Award in 1987, induction into the National Women’s Hall of Fame in 1991, and the Presidential Medal of Freedom in 2006. Hodges' scholarship will ensure that the Colvins' impact on education continues, as it will ensure financial security for College of Arts and Sciences students pursuing degrees in English and foreign languages. New degrees in the College prepare students for emerging fields of personalized medicine, advanced manufacturing, and more. It is an image that goes along with almost any story about the history of the computer. One or two people are in front of this clunky-looking machine that is as big as a suitcase (or a refrigerator, depending upon the decade). As the processing gears slowly dribble out the data, the person dutifully records the information using the ultimate low-tech device: pen and paper. This, in essence, was data gathering at the dawn of the computer age. All you needed was a notebook, and maybe a calculator when things got complex. The information superhighway was still merely a footpath, and everything moved at a moderate pace. Obviously, that no longer is the case. We don’t have a river of data these days. We have Niagara Falls, constantly drenching us with bits and bytes and more knowledge than we’ve ever had. And in many ways, more than we can handle. The College of Arts and Sciences is helping students learn these steps with the introduction of a new undergraduate degree in bioinformatics, which focuses on complex biological data such as genetic codes. The new program is a result of a collaboration between the Department of Computer Science, the Department of Biology and the UAB School of Medicine, and is the first of its kind in the state of Alabama. 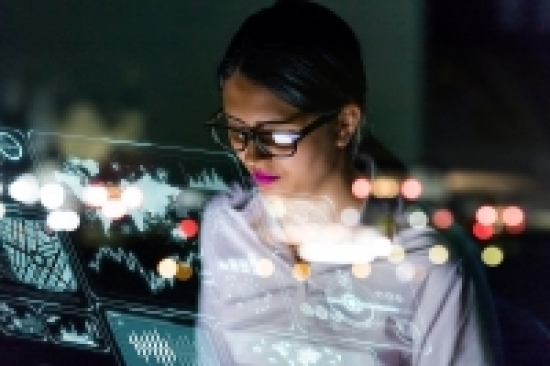 In addition, the Department of Computer Science has also introduced a new master’s in data science, which is designed to prepare students with skills they can apply to careers in big data, including machine learning; modeling, analysis, and management of data sets; and efficient, algorithmic-based problem solving. For undergraduates, the focus is on the intersection of computer science and the biological sciences. “The idea is that all the new genomics and proteomics—basically the new form of medicine that is going to take over in the next 20 years—is going to be hugely data-intensive,” says Steven Austad, Ph.D., chair of the Department of Biology. “Everybody is going to have their genome on file. It’s going to be a massive data organization and analysis. It is a rigorous curriculum, with multiple class requirements involving mathematics, computer science, biology, chemistry, genetics, and engineering. The end result will be graduates who are well-positioned for careers in the emerging data-based workforce in medicine and other fields. Data collection and analysis already is widely used in everyday life, from genetic testing companies such as 23andMe, to the cameras and other electronic devices in new cars, to the responses generated by virtual assistants Siri and Alexa. Much of the interest at UAB likely will involve the medical field, including the use of data in creating disease treatment options specifically tailored for individual patients. The university took an initial step in that direction in 2017 with the hiring of computer scientist Matt Might, Ph.D., as the inaugural director of the Hugh Kaul Precision Medicine Institute. Simply put, the goal is to create personalized medical diagnosis and treatments based on the genomic data derived from each individual patient, which is analyzed by data scientists. Steven Austad, chair, Department of Biology.“Right now, we sort of treat everybody the same. You get a certain diagnosis, and a certain treatment for that diagnosis,” Austad says. “That is about to change, and the reason is there’s this data that’s going to be available. That’s what this is all ultimately about, understanding what makes you an individual and how medical diagnosis and treatment will work on you as opposed to somebody else. That is exactly what the College's new bioinformatics degree will provide. Computer science students have been learning how to use computation-thinking techniques to gather data for years, and medical students obviously have long had an understanding of human biology. The bioinformatics program will combine those two skill sets. “Having that cross-disciplinary training is going to create people who can straddle the fence and have one foot in the biology and the medical aspects of the problem being addressed, and the other foot in the analytic techniques that can be applied to that,” says James Cimino, M.D., director of the Informatics Institute in the School of Medicine. Elliot Leftkovitz, co-director of the bioinformatics program.Graduates of the UAB bioinformatics program will have the skills needed for a variety of academic research positions, as well as government jobs involving epidemiology (through the Centers for Disease Control) and drug development (through the Food and Drug Administration). Pharmaceutical companies also need employees who are capable of analyzing data to identify genetic targets that can help in drug development. Austad says he received a “tremendous amount of interest” in the program when he talked with prospective students this past summer. He noted that since today’s college-bound medical students grew up with computers as part of their daily life, the concept of bioinformatics does not seem as daunting to many of them. Friends, family, colleagues, and admirers of Dr. Michele “Mike” Wilson and Professor Becky Trigg have made generous gifts to create an endowed award in the Department of Sociology. Friends, family, colleagues, and admirers of Dr. Michele “Mike” Wilson and Professor Becky Trigg have made generous gifts to create an endowed award in the Department of Sociology. The scholarship will be used to provide financial assistance to students in the Women’s and Gender Studies Program. The endowment honors Dr. Mike Wilson and commemorates Professor Becky Trigg for their dedication and commitment to improve the lives of women. 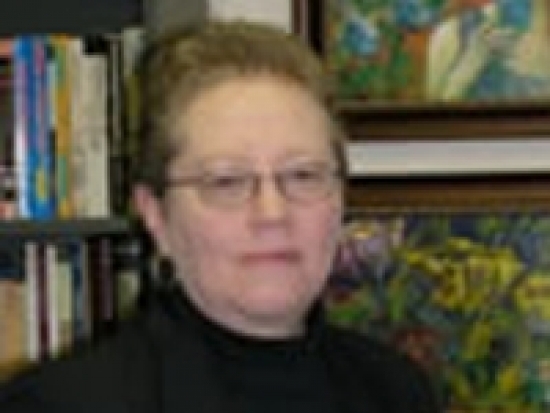 Dr. Wilson was born in Puerto Rico in 1942 and earned her doctoral degree from the University of Connecticut in 1978. Ms. Trigg was born in Hueytown, Alabama in 1955, and received her master’s degree from The University of Alabama in 1983. Both women were members of the Southern Sociological Society and were dedicated and committed in working toward women's equality. Dr. Wilson and Professor Trigg have received various honors and awards throughout their careers including the 2006 President’s Diversity Award from the UAB Women’s Studies Program, given to Dr. Wilson, and the 2007 IMPACT award from Sociology students honoring her for her teaching and mentoring activities, given to Professor Trigg. Trigg passed away November 2, 2010, and is remembered for the courage of her convictions and her integrity, empathy, fairness, and motivation of others to be their best. This scholarship memorializes her contributions and will support the Women’s and Gender Studies Program as it continues to mentor undergraduate and graduate students, and inspire students to apply their knowledge to improve the lives of others. Johnny “Rusty” Edward Bates, M.D. has established the Henry E. Bates, Jr. Scholarship in the Department of Mathematics—one of UAB's new Blazing the Way Scholarships. Dr. Bates received his B.S. in mathematics from UAB in 1979 and his M.D. from the UAB School of Medicine in 1983. He is the founder, president and CEO of Quality Correctional Healthcare and is a member of the College of Arts & Sciences Alumni Board, the UAB National Alumni Society Board of Directors, and has been a two-time recipient of the Excellence in Business Top 25 Awards in 2016 and 2017. The Blazing the Way program is an initiative by which UAB provides a 1:1 match for annual scholarships. Scholarships are automatically renewable for three additional years as long as the recipients remain in good standing. The Henry E. Bates, Jr. Scholarship has been awarded to Grace Lewis, a first-time freshman from Hoover High School. In addition to majoring in math at UAB, Grace is also a member of the UAB Teach program and has a goal to be a math teacher after graduation, ideally teaching internationally. Jeanne Welch never really saw herself as college material. But a desire to help others, and an interest in mental health technology, helped her find her way to UAB. Jeanne Welch never really saw herself as college material. Growing up in an Air Force family, she moved a lot growing up. While she learned to be outgoing and adaptable, she never expected to go to college. But a desire to help others, and an interest in mental health technology, helped her find her way to UAB. After graduating from high school, Welch first pursued a general studies degree and completed a year of coursework at a community college. Then she completed some additional mental health training, always with the drive to serve those in need. ”I was interested in helping people achieve their life goals,” she says. Welch made an appointment with Dr. Norman Eggleston, then-chair of the Department of Social Work, and his advice proved to be transformative. Welch had a firm timeline in mind: She had to graduate in the spring of 1980 while still working fulltime. But with the help of Dr. Eggleston and Welch's faculty advisor Dr. Gail Wykle, she was able to find a way. ”I mapped out the whole plan based on what classes were taught in the daytime or at night,” she says. "Knowing that you know how to help someone and how to provide services to them is so rewarding." She admits that while her role was often emotionally and psychologically challenging, she was able to stave off burnout by relying on her training and focusing on the positive outcomes. ”Knowing that you know how to help someone and how to provide services to them is so rewarding,” she says. ”And seeing them progress as a result of your help is so gratifying and satisfying. You know you're making a difference. Welch says that her connection to Dr. Eggleston went beyond his academic and professional advice. ”He was the only person I knew in Birmingham who was from Virginia, like I was,” she says. ”And as I learned a little about his life history—how he was raised in foster care and how social workers had such a positive impact on him—it motivated me to continue my social work training. 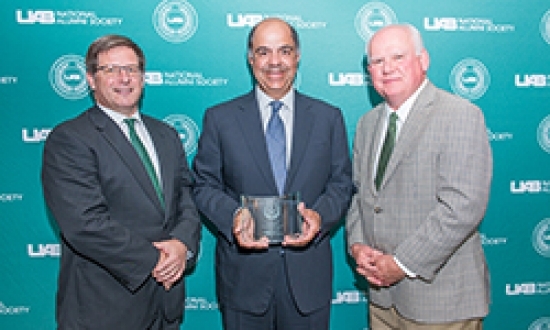 The Dr. Larry Krannich Endowed Student Research Scholarship was established to recognize Dr. Krannich's decades of distinguished service to UAB and to provide opportunities for young scientists to gain valuable experience in the research environment. Dr. Larry Krannich was chair of the UAB Department of Chemistry from 1976- 2003. By emphasizing the first two years of instruction, he established a tradition of engaging students in the classroom and the laboratory. As many former students and colleagues have attested, he brought active learning strategies into the classroom, which in turn led to a significant increase in the number of students majoring in chemistry. Today, Dr. Krannich's teaching model has resulted in tremendous student success, with chemistry majors earning national recognition from the Barry Goldwater Scholarship, the DAAD Research Internships in Science and Engineering (DAAD-RISE), Amgen Scholars, and the American Chemical Society Scholars Program. You have an opportunity to support the Department of Chemistry with a gift to the Dr. Larry Krannich Endowed Student Research Scholarship. Your support will provide the department an opportunity to build on the extraordinary foundation Dr. Krannich has helped to create. We are already well on our way to our goal of $25,000 thanks to a generous gift that allows the Department of Chemistry to double your investment with a 1:1 match up to $15,000. While we have any number of outstanding male faculty members, students, and alumni who deserve recognition and are included, by and large this issue is about the women of the College of Arts and Sciences. When I was reading the Fall 2017 issue of our Arts & Sciences magazine, I was struck by how many successful women we had featured in news stories, alumni profiles, and longer features. But honestly, I wasn’t surprised. Since setting a goal in our Strategic Plan to increase the percentage of women faculty we recruit—as well as our commitment to attracting the very best students to our campus and better engaging with our accomplished alumni—I knew that adding more women to our College would result in more achievement. So, I asked Julie Keith, our Director of Communications and editor of the magazine, to focus this Spring 2018 magazine entirely on women. While we have any number of outstanding male faculty members, students, and alumni who deserve recognition and are included, by and large this issue is about the women of the College of Arts and Sciences. From student scholarship winners, to alumnae who have excelled in their fields, to women faculty members who have built outstanding academic careers in departments and disciplines that have historically been shaped by men, this issue is filled with an array of talented and successful women. As Julie pointed out, we would have to double or triple the number of pages to truly capture all of the stories of the exceptional contributions and leadership of our women colleagues, but this issue provides a window into the much wider world of the achievements of the women of the College of Arts and Sciences. I am very proud of what we are doing at UAB, and I attribute a great deal of our success to the talent and dedication of our women colleagues—including our staff. I hope you enjoy this issue and I am confident that you will share my pride in the many contributions of the women of the College of Arts and Sciences at UAB. Catch up with some of the big events sponsored by the College of Arts and Sciences, from Homecoming to an exhibit at AEIVA. Our Fall semester was as busy as ever and was capped off by two signature events: Homecoming Week, and the UAB Marching Blazers trip to the Bahamas Bowl to play alongside the UAB Blazers Football team. In the midst of the hectic fall schedule, it's always a joy to be able to come together as a College community to have fun and celebrate another successful semester. And to end the return of the football season with a bowl game—where so many of our students participated as athletes, musicians, auxiliary, and spirit teams—sent us into the holiday season with hearts bursting with pride. The 2017 Homecoming theme was Blazers United, and the College had great fun decorating the float and Heritage Hall Building, featuring Senior Associate Dean Dr. Catherine Daniélou as Lady Liberty, and mathematics major Mary Allison Caufield as Uncle Sam. In Nassau, Blaze and the Marching Blazers entertained bowl game attendees. In early 2018, we recognized our 17 faculty members who published 18 books in 2017 at the annual One for the Books celebration, where we also honored our three first-ever winners of the Dean's Awards for Excellence in Teaching. It was another outstanding achievement by arts and sciences faculty. Faculty authors honored at the One for the Books faculty book party included Dr. Alison Chapman, chair of the Department of English, Dr. Da Yan, assistant professor in the Department of Computer Science, Dr. Rebecca Bach, professor in the Department of English, and Dr. Kevin McCain, assistant professor in the Department of Philosophy. Dr. Sami Raut, assistant professor in the Department of Biology, was one of the first winners of the Dean's Awards for Excellence in Teaching. Professor Heith Copes from the Department of Criminal Justice was named the winner of the 2017 Ireland Award for Scholarly Distinction. We celebrated his recognition at a dinner at The Club, where President and Mrs. Watts, along with Dean Palazzo and Mrs. Caroline Ireland, who established the award endowment with her late husband Charles, joined Dr. Copes' colleagues and special guests. 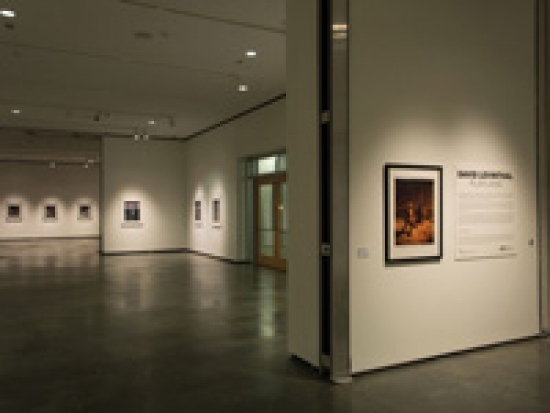 The Fall semester also meant the opening of Misremembered, the installation by artist Titus Kaphar, along with Jordan Eagles' Blood Equality exhibit, which also included pieces at the Birmingham Museum of Art and Birmingham Civil Rights Institute. 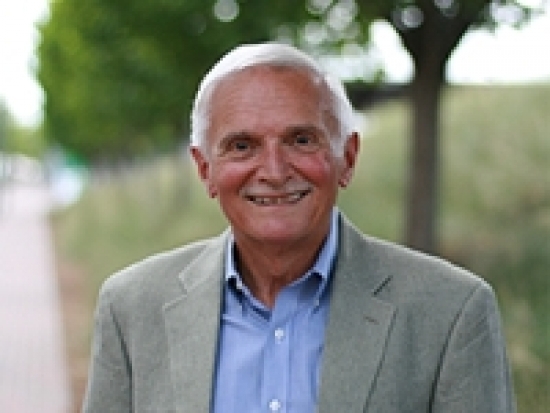 Dr. Copes' work focuses on individuals who engage in both crime and drug use. Specifically, his research centers on criminal decision-making and narrative sense-making. As the Ireland selection committee noted, he is a leader in the field of narrative criminology. Kaphar appropriates different styles and techniques from past periods of art history to create reconstructive historical narratives that address issues of race throughout history. A large part of his AEIVA exhibit featured The Vesper Project, a life-sized, two-room house constructed inside the main gallery. When UAB broke ground on the new Arts & Sciences Building in September 2017, the excitement was palpable. “There is no doubt that this new building will provide our campus community with a state-of-the-art facility in which they can work and learn,” said Dean Palazzo. When UAB broke ground on the new Arts & Sciences Building in September 2017, the excitement was palpable. President Watts, along with the Provost, Vice Presidents, and a number of deans and leadership from UAB Facilities, gathered with College faculty, alumni, and students to celebrate the construction of our newest and most modern campus building. “There is no doubt that this new building will provide our campus community with a state-of-the-art facility in which they can work and learn,” said Dean Palazzo. Today, construction is progressing on schedule and on budget, and the L-shaped structure, which will complete the quadrant of academic, recreational, housing, and dining buildings around The Green, is now reaching its second floor. But we need your help to complete the project. Your gift to the College of Arts & Sciences Building Fund will help us ensure that we are able to continue to deliver the very best programs to our students, as well as provide the facilities that will attract the very best faculty to UAB. We invite you to partner with us. There are a number of naming opportunities within the new College of Arts and Sciences Building to recognize or pay tribute to individuals or companies. In fact, we are proud that some of the earliest gifts to the building have been made by current or retired faculty members, who recognize the value of the project and want to be a part of the legacy of the College. In the College of Arts and Sciences, we are proud to tell our prospective and current students that, “Your Place is Here.” And we feel the same way about our alumni and donors, who are so vital to our continued success. Be a part of our place-making. Find out how you can participate in this landmark building project by visiting uab.edu/cas/home/support. The Abroms-Engel Institute for the Visual Arts (AEIVA) Permanent Art Collection has received a generous donation of a number of works by David Levinthal, one of the most prolific and acclaimed photographers of his generation. The gift includes 59 large-format Polaroids by Levinthal given to AEIVA by an anonymous collector. The donation includes images from several series by the artist spanning multiple decades, including "Barbie", "American Beauties", "Blackface", "Wild West", "Mein Kampf", and "Passion". Considered one of the first postmodern photographers, Levinthal uses toys and miniature figures as subjects for his images. Much of his work questions the role of photography as a reliable presentation of historical fact through intricately restaging significant moments or cultural milestones throughout history. “As children, so much of our early social development occurs through these little melodramas that we act out with our toys,” says Fields. An exhibition titled David Levinthal: Playland ran Jan. 8 – March 10, 2018, featuring a number of the donated works as well as six large-format Polaroids from Levinthal’s Baseball series, on loan from a private collection in Birmingham. Levinthal attended the exhibition’s closing reception on March 2 and lectured about his work. Jeannie Feldman has established both an award and a scholarship in the Department of History to honor her late husband, Dr. Glenn A. Feldman. 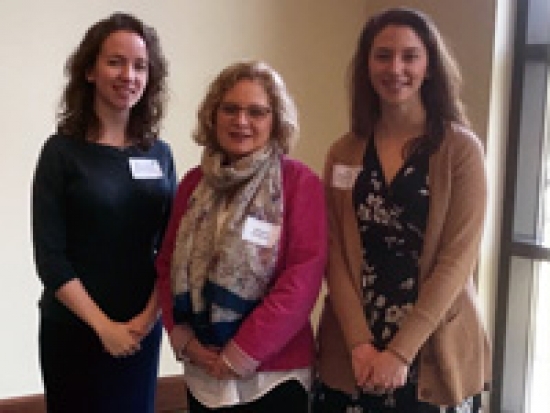 2017 recipients, Katharine Ambrester and Zoe Zaslawsky, with Jeannie Feldman.Jeannie Feldman has established both an award and a scholarship in the Department of History to honor her late husband, Dr. Glenn A. Feldman. Feldman’s widow Jeannie, along with their daughters Hallie and Rebecca, decided to honor his legacy of compassion, joy, and scholarship with two annual funds in the Department of History. The Dr. Glenn A. Feldman Memorial Student Writing Award will be used to recognize deserving undergraduate and graduate students. The Dr. Glenn A. Feldman Memorial Graduate Student Scholarship will be used to provide financial assistance to deserving graduate students. Palo Alto Networks' Cyber Competition for High School Students. Student support can come in a variety of forms. With a growing vacancy of cybersecurity jobs in the U.S. workforce, Rick Howard, chief security officer at Palo Alto Networks, recognized the need to nurture talent and passion for cybersecurity and digital forensics. So, Palo Alto Networks, along with UAB’s Capture the Flag Student Organization in the Department of Criminal Justice, sponsor the annual Blazer42 Capture the Flag Scholarship Competition for qualified high school computer science teams. 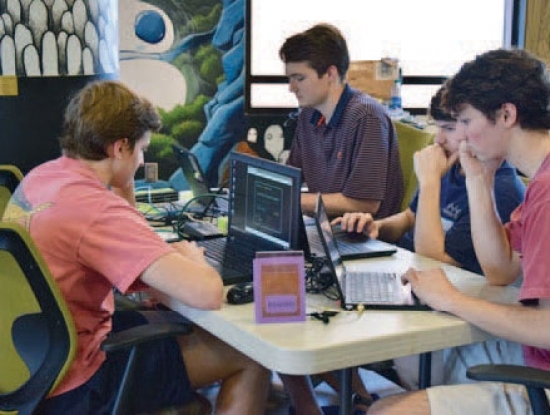 This year, 10 teams of four 10th-12th grade students participated in a simulated hacking event based on the board game Risk . Individuals in the top three teams were awarded scholarships to attend UAB as freshmen students. The first-place winner of this year’s competition was a team of four students from Tuscaloosa Academy. Alumna Dr. Ana Maria Crawford has created an endowed scholarship to be used to support deserving students based on merit and financial need. Alumna Dr. Ana Maria Crawford has generously created an endowed scholarship in the College of Arts and Sciences to be used to support deserving students based on merit and financial need. Beginning in Fall 2018, the scholarship will be awarded to one student per academic year with preference for female students pursuing a career in the medical field. Dr. Crawford is an anesthesiologist who lives in San Francisco, California. 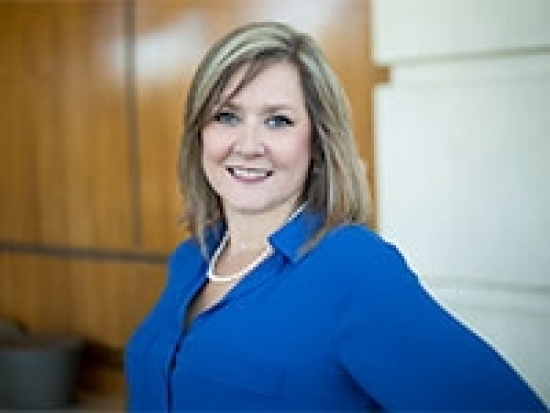 A native of both Southern California and Huntsville, Alabama, she attended UAB where she earned her bachelor’s degree in biology in 1999 and her doctorate in medicine in 2004 from the UAB School of Medicine. The scholarship is named for the late Dr. Michael H. “Mickey” Smith, a friend and fellow alumnus from the UAB School of Medicine. Dr. Crawford, who worked several jobs during her time at UAB to pay for tuition and fees, met Dr. Smith at one of those jobs. 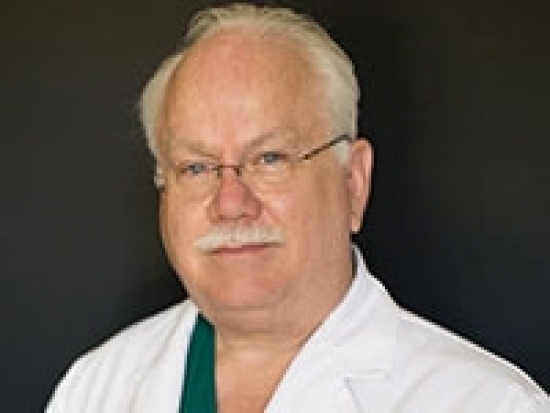 Dr. Mickey Smith, a neuroradiologist in Atlanta, Georgia, passed away on January 20, 2018. Dr. Crawford is dedicated to helping deserving students at UAB who aspire to serve as healthcare providers and patient advocates. “Assisting those in financial need would be the greatest gift of all,” she says. 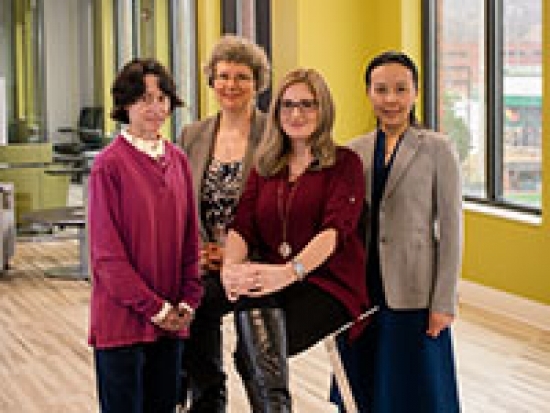 Despite complex social, cultural, and professional trends that keep women from academic careers in the sciences and mathematics, a small percentage of female research faculty stay the course. Why do girls lose confidence in their science and math abilities when they reach pre-adolescence? What are the barriers that block women's progress through graduate school? What is it like to be the only woman in your department? We asked four of our female faculty members these questions—and more—at a lively and thought-provoking discussion on what it’s like to pursue an academic career in the sciences. Dr. Eugenia Kharlampieva from the Department of Chemistry, Dr. Karolina Mukhtar from the Department of Biology, Dr. Mary Ellen Zvanut from the Department of Physics, and Dr. Tracy Zhang from the Department of Computer Science shared stories of their education, their professional advancement, and their new roles as mentors to female junior faculty, graduate, and undergraduate students. They also offered thoughts on what we can do to ensure that more girls prevail in reaching their goals to be scientists. A&S Magazine: Why don’t you start by introducing yourselves? Tracy Zhang: I’m Tracy Zhang from the Department of Computer Science. I got my Ph.D. from Florida International University and joined UAB as an assistant professor after that in 2004. I’m a full professor and also the graduate program director in the department. My research focus is on multimedia databases and data mining. Anything to do with object detection in videos, or image classification in videos; for example, extracting events from surveillance video, or videos from the biomedical field—I can be of help. I’m originally from China. Eugenia Kharlampieva: Hi, I’m Eugenia. I’m originally from Russia and I’m an associate professor of chemistry. I do polymer chemistry, so biomedical applications for polymer materials, for drug delivery, or cell transplantation. I received my Ph.D. in polymer chemistry/science at the Stevens Institute of Technology in Hoboken, New Jersey, and got my post-doc in biomaterials from Georgia Tech. My initial position at UAB was a little unusual: I was an interdisciplinary faculty member supported by Associate Dean for Research Dr. Yogesh Vohra—I was funded by the National Institutes of Health (NIH) for two years. I had multiple offers at the time, but I took this job [because it was] interdisciplinary and because of the facilities at UAB. I was tenured in 2015. Karolina Mukhtar: I have also been here since 2010 and was also hired as an assistant professor. I’m from Poland and did all of my education up to my master’s in Poland in biology, all in my hometown. I never had to move away for college; I guess that was in my best interest. That was the first place I got interested in plant science, which is my current research area. I was pretty traditional except for one gig. Straight from my master’s, I was offered a job in the same academic unit where I did my master’s, which was a cell biology lab. And these were really coveted, full-time, permanent research positions—there’s not really an equivalent in the U.S. But I hated the job: it wasn’t the right place for me, and I started looking for something else pretty quickly, just within the first few months. I applied for an internship at the Polish Academy of Sciences, which is a really good place. Even though my original intention for that internship was to just get out of where I was, it turned out to be life-changing, because I met great people there who showed me what science could be like and got me excited. While I was there, the head informed me of the Max Planck Research Institute, which was opening a [new location] in Germany, so I applied for their Ph.D. program. I got in, and during the interviews I also met my future husband so that was a really quick fix for my whole life. [laughs] I got my Ph.D. in genetics with a focus on plant diseases. After that [my husband and I] were pretty open to going anywhere for post-doc training. That ended up being Duke University for me, and I did that for a little over four years. After I finished my post-doc, I decided to have a trial run [on the job market], and I applied for assistant professor positions at four schools. One of them called me back and that was UAB. I’ve only been to one job interview in my life and I hope it stays that way. [laughs] My lab studies plant immune systems and various types of plant stress responses. A&S: And Eugenia and Karolina, you both won the National Science Foundation CAREER Award in 2014, correct? Karolina: Yes, with Thamar Solorio and Ragib Hasan. Mary Ellen Zvanut: My story's relatively simple. I got my bachelor’s-through-Ph.D. at the same institution up in Bethlehem, Pennsylvania at Lehigh University, not far from where I grew up. I did a post-doc at UNC Chapel Hill, then moved on the Naval Research Lab [in Washington, D.C.] before moving to UAB as an assistant professor in 1993 and I've been here ever since. I research the materials they make your computers, cell phones, and electronic gadgets out of—and these new lights that are based on LEDs. I focus particularly on defects, which are not necessarily a bad thing. Actually, sometimes you need those defects to make devices work. We look at defects directly as well as their interactions with other materials. I’m a full professor, associate chair and the graduate program director in the Department of Physics. A&S: What are some of the pros and cons of being a woman in your field? Did you have a mentor who supported you? Have any of you had a negative experience? What are some of your stories? Tracy: I have many stories. When I was a Ph.D. student at FIU, I remember one time I had to work into the early morning hours. I came back at 6:00 a.m. and one of my roommates, who was a male student, said, “You just came back from doing homework?” And I said, “Yes, I got the last bug fixed, so now I’m turning in the work to earn bonus points.” And he said, “Computer science isn’t for women.” He didn’t think it was an appropriate lifestyle for women, working late like that. Even my husband, who was also doing his Ph.D. during this time, [has had similar opinions]. We got to know each other when I was working late in the lab. Karolina: Us too, there is no time for anything else! I think the support from your male peers and your male advisors is very important. Because I think oftentimes the things that make girls or women in my field quit is a lack of confidence and support. Karolina: I actually had female mentors all along and I just recently realized that. I have to tell you that, when I grew up in Poland I was completely unaware of the concept of gender inequality. My eyes were really opened when I was over 30 [years old] and I was here in the U.S. My boss made a comment, “You as a female may have a better chance of getting a job,” and I honestly had no idea where that was coming from. I was always happy being a girl. But I did have an experience in the first lab I worked in, where I got my master’s, being there was a completely different story. Every single person there was female: the boss was female, 100 percent of the lab was female. And this is the other side of the story: Women can be amazing support, but they can also do a lot of damage when they aren’t the role models you need them to be. When I was hired, I was the most junior member of that group. I felt like an outcast, I wasn’t welcome, and they had ways of letting me know that. I was the one teaching late labs or Saturday morning labs because I was single with no children. I was the one going down the street to the deli to get their lunches. And so I realized, this is not the place where I’m getting the support I need, and at this rate it will take me forever to get my Ph.D.
We focus on the impact that male advisors have on female students, but being a female advisor is a whole different responsibility that we have toward our female students. Because there was a time in my life I seriously doubted I could stay in [academia] and if it hadn’t been for that internship, I’m not sure I could have stayed much longer. Eugenia: Those stories are wonderful! I’ve been lucky. In Russia, we had the same situation as Karolina had, we didn’t feel that gender difference. Mary Ellen: My impression is there is a big cultural difference in Europe; they don’t have the same kind of social structure we do in this country. My sense always has been, because I’ve interacted with a lot of European men, that it’s very different than with Americans. Eugenia: You know, I didn’t think about this. Out of 50 students in my class [in Russia], only three were guys—the rest were girls. And that felt normal because it was chemistry. If you went into physics or computer science, the ratio would be different, but it was never just 5 percent female. By the time we all graduated it was 50/50, male/female across all of the disciplines. But even when I first came to the U.S., I didn’t experience this gender difference because I happened to be in a lab with an assistant professor who was female. In my group, it was five women and only one man. And I was very lucky; she was very supportive. And we are all in that situation now, right? You take students and you are responsible for them. She was supportive at the time and I just thought it was normal. When I did my Ph.D. at Georgia Tech, the environment was slightly different. It was engineering and it was more competitive, but again it was 50/50, female/male students. When I came to UAB, I was the only female tenure-track professor out of maybe 15 in the department, and then it was an eye-opener. That’s when I realized, “Wow this is different.” But the department was very supportive so I didn’t notice at first; I just was focused on my work, but gradually it dawned on me. And I noticed it with my students. Girls are less confident and that was strange to me; I was always confident. But when I look at my students here, they are more hesitant to make decisions, they are careful in their experiments, they are very critical about what they do—self-critical. It can be a good thing to be careful and critical, but they are often more conservative than the guys. And to me, it seems like when they have a failure, they are much harder on themselves and it’s much harder for them to move on. I just feel like the girls need more encouragement than guys. Tracy: I agree. That reminds me of another joke that’s very true and reflective of reality: When you tell a girl she did a good job, she might think, “What did I do wrong?” You should say: You did a great job, not a good job. Mary Ellen: It’s interesting listening to the stories because not only are most of them not U.S.-based but they’re also much more recent, so it’s a completely different situation. I had no female mentor, it never occurred to me to have one. In contrast though, the first 12 years of my education my teachers were entirely female: they ran the school, they did everything. So, it didn’t occur to me even when I got to college that [women] couldn’t be in charge of something. Of course you could be in charge of things! Now I went to a heavily male-dominated school, my two best girlfriends were probably “the engineers” as undergraduates…there were probably more, but it was a very, very small percentage. I think out of a class of 100 electrical engineers, maybe five were women. I was a physicist; I may have been the only one, maybe a couple of others. It was a very different experience, but I never really had any trouble. But physics is a very different environment: it’s small and maybe more encouraging because we need more physicists and we don’t care if they’re male or female! [laughs] But no, I shouldn’t joke. Women obviously don’t go into physics and there are a lot of stories about women not being encouraged, being told they couldn’t do math or they shouldn’t do math, and those are stories I’ve heard from friends and from students. I never experienced that, but I’m sure it was true and I dare say is probably still true. But I’ve been lucky. My research advisor was a gem to everyone. He had a wife who was a schoolteacher and daughters about my age, so he knew. But there were issues that I didn’t realize as a student, but he took care so that I didn’t realize them. He made sure that I got along. A&S: What kinds of issues? Mary Ellen: For example, we were going to a conference and remember it so well but I was so oblivious to it at the time. It was driving distance and I was a relatively new student and we were all going as a group. When we got there we had to spend the night, and I appreciate this now: It cost a lot for a hotel room. Should I have one of my own? Because usually everyone shares a room. But apparently this was a big topic of conversation in his house. His wife and daughters were all advocating that I get a separate room even though it cost a lot. But on the other hand, it does mean you’re cut off…a lot happens socially when you’re spending time in situations like that, I probably missed out on some things. A&S: Eugenia, you addressed this earlier. What are everyone's perceptions of your female students? Mary Ellen: I think the one thing we all have to keep in mind, even about us: we’re here, the graduate students who are here, they are the ones who persisted. Already the female students we see are the people who are willing to go the extra mile and fight the battles. I had a student here, she came from another institution, and she was basically told when you’re married and have kids, you shouldn’t be here. But she continued. It’s probably very challenging to them, but you shouldn’t say those kinds of things to anyone. All the female students I’ve worked with they’re much more aggressive than I would have been. Karolina: Biology absolutely doesn’t have a problem with recruitment—more than 50 percent of our graduates are female, which is a national trend. And that’s also true at the master’s level and Ph.D. level, so we have quite a lot of trained female biologists. Our problem is the leaking pipeline. When you move up in the academic setting every step of the way, from post-doc to every level of faculty, we have a huge, precipitous drop in terms of the numbers and we probably get single digits, 10 percent at best, of full professors. So, our challenge isn’t the lack of motivated undergraduates; they start these careers. The problem is the girls flock into biology because they’re told not to go into computer science, chemistry, math, and physics and so biology is the STEM discipline they think they can handle, plus it has the connection to healthcare, which a lot of women would like. So they come to biology and suddenly we are left with this huge population, and they don’t even realize they are bottle-necking by all flocking together. I think biology has a unique problem of being too popular or being seen as easier. I’m an example, because I had to work really, really hard to get my A’s in math and physics, and I did, but it was more effort. I feel like a lot of girls would be like me and go down this path, but not be prepared for when it becomes more difficult down the road. What’s also difficult is when these young women enter biology thinking they will go into medicine or nursing or another health profession and they aren’t accepted, then it is often too late for them to adjust into academia, because they don’t have the research experience they need to continue. We could definitely do a better job of mentoring this large female population we have into more diverse careers. Eugenia: I feel so jealous of all those students! Karolina: Too much is not always a good thing! Eugenia: Of course, there are always exceptions. I’ve been here seven years and I would say yes, female students need more encouragement and more motivation. Their standards are often higher, which can actually have a negative impact. Maybe because I’m a female professor they feel they can't disappoint me more than a male student can? Maybe they’re more sensitive to that? I don’t know, I don’t have a controlled experiment. [laughs] But I agree with Karolina that the retention of female professors in our field is much lower than male professors. In fact, look at our department, we have only two tenured or tenure-track female professors. Tracy: I’m the only one in my department. Mary Ellen: I’m the only one in mine, too. A&S: What can UAB do to support you and your students? What do we do well, and what can we do better? Karolina: I am a mom of two little daughters so I have that insight and they are both elementary-school age right now. One of them came back home from preschool and said she wished she could be an astronaut, but she couldn’t because she was a girl. And that was the point where I knew I had to do something. Because she’s spending days with people who have told her something like that, because I can assure you she hasn’t heard it at home. We started working hard to find summer camps and after-school activities to immerse them in science and programming and basic engineering. It’s not my interest and it may not be theirs either, but it’s just an alternative to cheerleading and gymnastics. We as a female faculty—we all do outreach activities obviously very heavily—but something UAB could probably do better is programs for younger girls. Tracy: Right. Some of our faculty offer the Girls Who Code training camp, but that’s purely on a volunteer basis. It’s so frustrating, I see it among my female mentees, there could be a student that could be doing so well for years and is planning on having an academic career, but in the final year she tells me, “It’s actually going to be really hard.” It breaks my heart but they say, “I’ve been looking at you and it looks so hard and I don’t think I can do it.” And I feel like all that I’ve been trying to do is radiate joy and family/work balance and saying, “Hey, you can do it if you want to, you can. It’s doable and let me show you how.” But there is kind of a consensus that after their degree is complete, they would like a job with defined hours—they are really looking for the structure. These are people who are great thinkers, who are really creative, who have great hands for experiments and they could have a great future. They just can’t make it work. Tracy: Let me tell you an encouraging story. My first Ph.D. student was a female student, and she was brilliant. She earned every award and I thought she would have a really promising career in academia, but she decided to follow her husband and work in the industry. But I never gave up trying to talk her into an academic career. I finally convinced her last year and she’s now an assistant professor. Karolina: How many years did it take? Tracy: Well, six or seven. A&S: What else needs to happen? Eugenia: There are a lot of things happening, we just need to keep doing them. More scholarships and fellowships for females at all levels. Hiring more female professors: It’s not easy, but it’s possible. And mentoring. It’s a good thing, but we don’t see it enough in STEM. Mentoring junior faculty is important, but especially female faculty. Senior faculty should see this as a privilege not a load. There needs to be a way to take some of the [responsibility] off of senior faculty so we can do more of this. Because it’s a huge responsibility—it’s a service. Mentoring would require departmental support. Karolina: We have a mentoring program in Biology and we had one when I came in. Mary Ellen: We have mentoring for faculty, but it’s less formal. As associate chair I try to work with new faculty we have coming in and try to get them in the swing of things. I think it has to happen at the department level, because we all do such different things and the departments have a better idea of what people need. But it does add a layer of things to do. And for most of us, you don’t get into a faculty position until you’ve done a post-doc; it’s not like you come out with a bachelor’s degree and you can teach. So many of these faculty have some independence and have some idea of what it will take, but for us in the Department of Physics, it’s helping them to learn how to teach properly—physics is notorious for not training graduate students to be effective teachers—and also research, but it’s mostly informal and at the faculty level. Karolina: When I first came here I was the only female faculty member with a lab, and I was also the first faculty member to be pregnant on the job in the history of the department! A lot has changed since then, though. We’ve had a huge influx of younger female faculty members. A&S: So there are good signs. Karolina: We just have to keep working at it.